When an admin sets up a new user, part of the process is to give them a set of tiles that they’ll see when they log on (unless you want them to start with a blank screen so they can choose their own, but that may be a bit less friendly). For an admin, this can mean individually selecting and setting options for each tile in turn, somewhat laborious. However once a few users have been setup, agileBase will remember previous decisions. 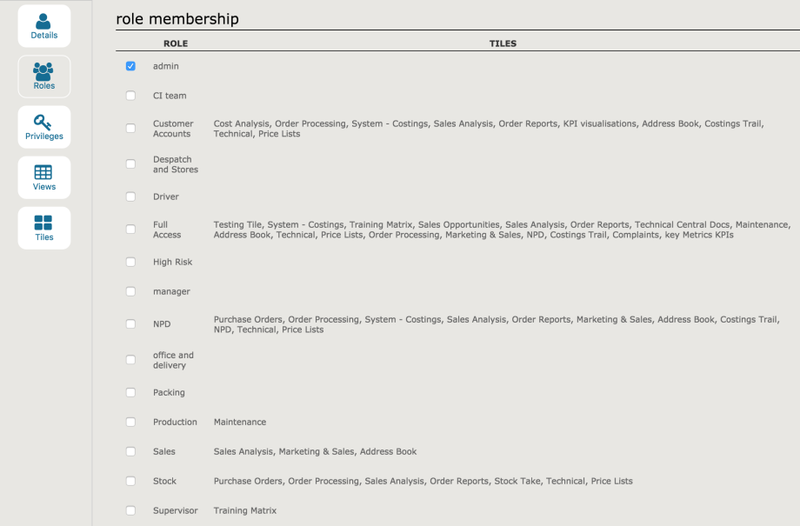 When a user is assigned to one or more roles, which is usually done when setting them up, a set of tiles will be automatically added for them, based on which tiles other users in that role already have. So if for example most people with the ‘technical’ role have access to a ‘forms and procedures documents’ tile, then any new user added to that role will also get it. Of course they can remove it if they don’t want it, or you can do so for them. This will take place for any user being added to a role, not just a new user, so it works for people moving roles as well as new staff. Note: this only works if you use roles to grant privileges to users, which is generally recommended, rather than granting each user their privileges individually.